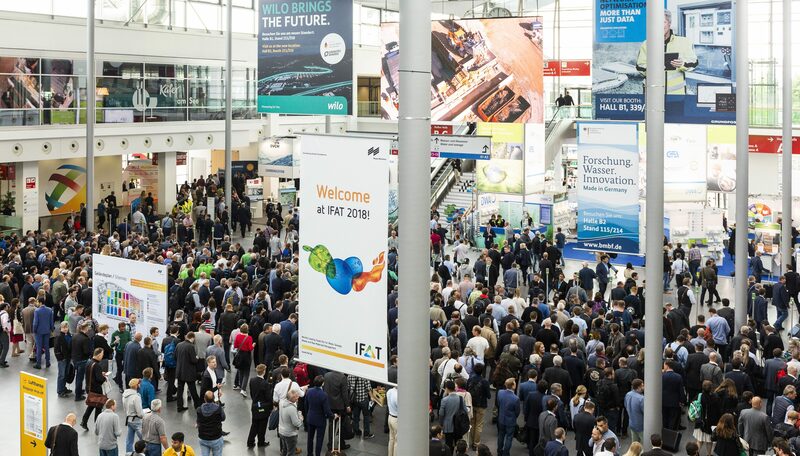 More than 140,000 visitors from all over the world visited this year’s IFAT exhibition for water, wastewater, waste and recycling in Munich taking place between May 14th to 18th 2018. One of the big issues this year was sustainability as a growing factor for industries and a strong demand of consumers. Another issue was “Industry 4.0” stressing the digitalisation in water management. Within this forum, Prof. Thamsen from TU Berlin gave a talk on companion specification for pumps and vacuum pumps discussing challenges for manufacturers and operators connected to digitalisation. 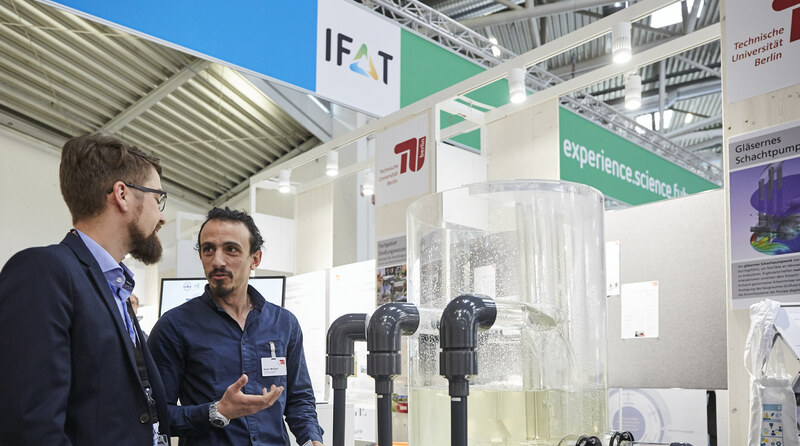 Together with the Department of Urban Water Management and the Department of Fluid System Dynamics of TU Berlin, the Nordic Water Network was present with an exhibition stand showing the model of a sump pumping station. The model demonstrated the effects of different inflows on the degree of clogging and sedimentation in the pit.